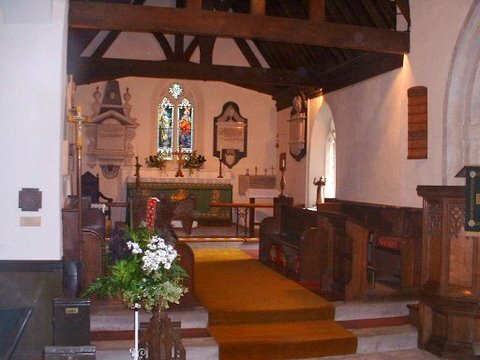 The present church dates from the 13th century but an earlier, more simple structure probably existed, with clergy coming from the monastery at Deerhurst, to conduct services. 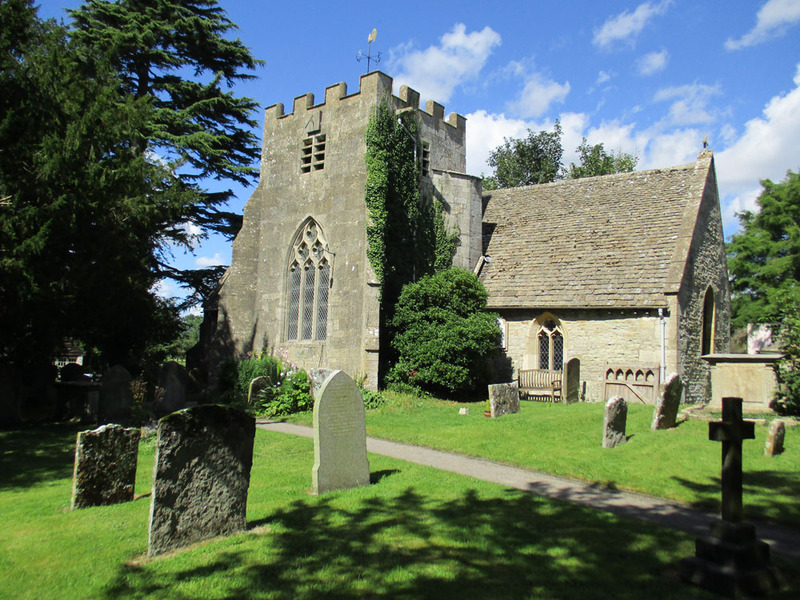 The original dedication for Staverton Church was in honour of St John the Baptist but it was changed in the middle ages when St Catherine became popular! The church has a cruciform shape; the area under the tower, now a Baptistery, was once a chantry chapel. There are three bells which are all hung without the benefit of nuts and bolts in their fittings. Many structural alterations have taken place over the years. The west end was rebuilt about 1712, using salvaged material from the tower which was lowered in height. The north transept was enlarged in 1836 with fine moldings added to the new ceiling. A west end gallery, and oak box pew, were new deal pews being fitted and marked ‘free’ to show pew rents had been abolished! The memorial east window was designed by J Eadie Reid, reckoned to be the last of the Pre-Raphaelites; the altar cross was made by Arthur Windsor, a well known wood-carver. Several fine memorials can be seen, the oldest being on the right of the altar, to Thomas Banester 1627, several later ones imitate its style. The altar rails came from the mission church in the Golden Valley which was closed in the 1950’s. The organ was restored in 2005 by John Budgen. The kneelers, like those in Boddington, have, over recent years, been replaced/embroidered by local people. The churchyard at Staverton is full and therefore ‘closed’ but it is well maintained with the help of an annual donation from the Parish Council. There is a Yew from the Painswick churchyard trees planted here to commemorate the Millennium.